Looking for a new Dodge, Jeep, RAM for sale near North Haven? 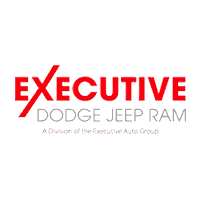 Look no further than the extensive inventory of new vehicles here at Executive Dodge Jeep RAM in Wallingford. Whether you’re looking to go off-roading in a new Jeep Grand Cherokee or Jeep Wrangler, or you need the hefty towing capacity of the new Ram 1500, with over 237 new vehicles in stock, we’re sure to have the model with the features and options you’re looking for. And you’ll always get our best price first with our Perfect Price Policy. If you’re in need of a new work truck, check out our selection of commercial vehicles. Browse our inventory to discover the new Dodge, Jeep, RAM for sale that’s perfect for you! Once you’ve searched our inventory and discovered the new Dodge, Jeep, RAM that suits your needs, it’s time to stop by our showroom in Wallingford near Meriden for a test drive. Contact us at your convenience with any questions about our new vehicle inventory or to schedule a visit. Learn more about the benefits of leasing a car to find out if leasing is the right option for you. Considering a Dodge Durango? Compare it to the Ford Explorer to see how it can benefit your Middlefield commutes.